J Duggan and Associates P.C. is a small, award winning, Landscape Architecture firm located in the Northern Shenandoah Valley. For the past 35 years the firm has been practicing Landscape Architecture, including residential design/build along with commercial, institutional and government work throughout Loudoun, Frederick, Fauquier and Warren Counties in Virginia, and the Eastern Panhandle of Virginia. He has also designed Federal projects throughout the country. Learn about our procedure for the initial meeting, analysis, schematics and presentation, and the 4 steps to development and finished design. Professional design, a qualified network of expert craftsmen, and a seamless experience centered on enhancing your landscape, and bringing your vision to life. I was considering improvements for my residence in Frederick County which included a pool with hot tub and its surrounds featuring an outdoor fireplace. The site itself is unique- so I was concerned with whom to work with regarding this, I was especially concerned that the design not intrude on a view I have of a lake bordering my property. In short I wanted the pool and surrounds to complement the overall aesthetics of my property, not compete with it. I was also concerned with finding the proper contractors to help with the installation of the project once the design was complete. I decided that a ‘Master’ Plan needed to be prepared in order to cover all the options and just as important establish and work with a budget I was comfortable with. Joe took the time to get to know the site and understand how I wanted to use it. Joe’s style is very collaborative-keeping the client involved. Once he completed initial sketches of options for the space he met with both myself and my children to discuss the options and listened closely to our feedback. Once an option was selected (with modifications based on feedback) Joe kept us in the loop by sending updates of the design via graphics sent by email and follow up meetings. The end result was a design that we were satisfied with. Once all the details were set Joe then arranged for items to be bid through his list of contractors and craftsmen, We met with numerous contractors, requested and reviewed the bids, revising the design as needed, and sending them out again for revised estimates. Once the team was selected, Joe helped with contract negotiations, making it a point to be available to answer questions as they came up. I particularly appreciate his knowledge of the trades and his willingness to listen and revise the design per contractor’s feedback- in short he has a real respect for the folks who do the actual work-making this a collaborative effort. The project has been completed I am pleased to say things went well , and I look forward to enjoying my new space for years to come. I would recommend Joe to anyone considering a project of this type themselves, they will be in good hands. We very much appreciate the design you have created for us. The landscape/pool design was very intriguing, and we love the way you designed the driveway and the front entrance walk. They add a lot of interest to the house and general design. Looks like we will soon be breaking ground, and it is great to have this concept plan to work with. I have worked with Joe on projects large and small since 1988. As a professional horticulturalist and nurseryman, I appreciate Joe's knowledge of plant material and appropriate application of trees and shrubs in a landscape. He not only draws a pretty picture, but creates functional, maintainable outdoor spaces that add value to homes and business. I do not hesitate in recommending Joe for any project. I have been associated with Joe for several years on a professional level, and he sets the bar high. We operate in complementary businesses, and its great to have someone in my network I can trust with my referrals. I highly recommend him. We have worked with Joe on numerous projects over the last 10 years - both large and small. His attention to detail, creativity and flexibility make him a pleasure to work with. Joe is in the process of creating a magical firepit and walking trail on our woodsy property. Joe has been very timely with his communications and shared his expert advice about how to best highlight the natural beauty of our property. We have also appreciated Joe's honesty about his personal opinions (like when he agreed we should wait a year to consider putting in a pool until we have a better sense of the place) and his care in communicating in great detail via email. Joe was incredibly easy to work with, and the results were exactly what I wanted. He listened to my wants, and made great suggestions along the way to give me plans for a perfect garden setting. Joe listened to what we wanted and steered us in the right direction. He always verified selections and was mindful of our budget and timeline. Highly recommend. Living in the same community I have gotten to know Joe and his Family over a number of years, seeing him at various social ad community events. I have also seen and enjoyed some of his other projects in the community, most notably a friend’s pool and surrounds, where a number of us (Joe included) would relax while our children played. 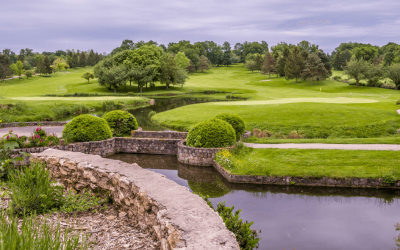 When we purchased a new home we asked Joe to help with some concepts for the existing pool and hillside plantings that were in need of some renovation. Our thought was to have Joe complete the design and then we would have the installation performed with the help of workers from my husband’s shop. Joe not only helped us with the design, which worked well, he also helped us purchase the plantings from wholesale suppliers he works with saving us a good deal of cost, which more than covered his services. He was always available when questions arose, working with us until completion. When there were potential scheduling/delivery problems he helped us work through the issues with the supplier, insuring everything worked out. I would heartily recommend Joe for design, consultation, project management on anything outside, he is very easy going, no pressure, and listens well, making sure the results are what one wants! Simply stated Joe has the ability to visualize your dream. His experience leaves him as one of the true concept to completion outdoor living space professionals in the Mid-Atlantic. J. Duggan & Associates works on each project as if it were his very own. His arrangement of design elements clearly sets Joe's designs apart from the ordinary. If you are looking for a Residential, Commercial or Planning design/consultation or project management which will set your project apart from the mundane, J. Duggan & Associates will be the right choice. Great things happen when working with Joe, he ensure's absolute precision of each projects construction. His high standard requires contractors who can implement his designs into his clients expectation. J. Duggan & Associates passion is truly reflected in their work. I recently worked with Joe Duggan on a Master Plan for my residence in Loudoun County, VA. which included numerous outdoor spaces, pool, pavilion, and fire pit, along with plantings and lighting throughout. His designs were imaginative yet practical, and his communication skills were great (both graphics and verbal). His ability to listen insured I was involved throughout and that my thoughts were always given serious consideration. His ability to work with contractors was also excellent. The end result was a project that exceeded my expectations. I would highly recommend Joe to anyone considering a Landscape Architect. Joe took a mediocre design for our swimming pool, gazebo, pool house and 3,000 square foot hardscape and re-worked it to become amazing. It is absolutely gorgeous with the right amount of sun, shade and sunset view. Everyone who sees it remarks how spectacular it is with ramps and steps and even a shaded brook. Not only was the design outstanding but Joe followed the progress, made suggestions throughout the process and saw it to completion. Joe Duggan is a talented landscape designer - our yard looks beautiful! He was professional and respectful of our wishes and ideas. He also suggested ways to get more for our money. He oversaw the whole operation and made sure that the job was done right. We recommend him most highly. My wife and I had a very vague idea of what we wanted for a deck/patio combo on our new home. We knew we didn’t want a simple deck and slab for a patio so Joe helped clarify our thoughts. He was great to work with in that he listened to our wishes and made suggestions based on his experience to further enhance the design. His drawings and computer renderings of the project were great in allowing us to see what the final product would look like. Also, the contractor that he had come in to do the work was very punctual, courteous and professional. We are very glad that we contacted Joe to help us design and build a very nice patio and deck. His help in making the project run very smoothly with minimum stress was greatly appreciated. Joe Duggan is an experienced landscape architect with a strong focus on landscape design (both the softscape and hardscape elements). He is a valued design colleague who brings a breadth of capabilities to each project effort. I enjoy a reputation for quality pool installation. Most of my work comes from referrals based on that reputation. I am therefore very protective of my reputation as it is the source of my livelihood. Over the past few years I have been involved with J Duggan Associates, having installed some high end pools/amenities he has designed and referring clients I have who need quality design work. Joes design sense and creativity really make spaces work, they reflect the site and always seem to fill the clients ‘wish list’ I have yet to see any of his clients less than completely satisfied with the results. In fact they usually end up friends for the long term. One the construction management side, I find Joe to be a professional who works well with others. His designs work well and make sense-his graphics and construction documentation are clear and do the job. I especially like the fact that his 3d modeling insures clients understand what they are getting. The ‘see’ it before it is installed easing their concerns and making the installation process a much enjoyable one. Joe’s strongest asset however is that he doesn’t have a ‘ego’ or is defensive regarding his designs. If I have a concern or know a better way to do things-he wants to hear about it, in fact he encourages such dialogue. Joe respects my expertise and does not dictate-he listens, he considers us all a team with the goal of completing another successful project. I look forward to working with Joe in the years to come and would not hesitate referring him to my clients, something I take very seriously. Joe was hired by Warren County to provide a landscape design for Route 340/522 corridor. With Joes help we were able to develop an affordable multi- phased plan to improve the aesthetics of the corridor as time and funding allowed. Several years have passed and several phases of the project are complete. As Chairman of the Warren County Board of Supervisors I have received countless compliments from residents and visitors on how the project has made the entrance to the community better, Joe understood the needs of the community and provided a cost effective approach that made the project feasible. In 2010, my wife and I purchased a beautiful 68 acre farm in the Shenandoah Valley of Virginia. The farmhouse, originally built in 1817, and then expanded in 1867, was in fairly original condition, and optimally located in the center of the property. It's most significant problem, however, was water. Rain water would shed off the nearby ridge, and pool in front of the house, and then ultimately leak through the hand dug cellar walls and cracks in the cement floor. The sump pump in the basement would run for weeks after a single heavy rain. Our little Garden of Eden was becoming a swamp. Consequently, we looked to Joe Duggan of J. Duggan & Associates to help structurally, and permanently, solve our water problem. This was our first time working with a landscape architect. Joe recommended and coordinated the hiring of several key professionals to assist with the design of the project, namely a topographer/surveyor and an arborist. The topographer mapped the elevations around the farm house and associated ridge, and determined the various sources of the water pooling in front of the house. The arborist identified which of the seven 150 year old trees that closely ringed the house were still healthy, and which were in failing condition. With this data, Joe created several drafts of various front patio and stone retaining wall configurations that primarily solved our water problem, but also took advantage of the fabulous views from our front porch. The project plan we ultimately settled on was both simple and elegant, and in perfect keeping with the age of the house and surrounding farm land. The stone patio and stone retaining wall were built on reinforced concrete that had a series of drains embedded within the structure that successfully discharged water away from the house. Having stated that though, the drains are cleverly concealed within the patio and surrounding grounds. The patio is perfect for entertaining while it performs its utilitarian task of keeping water out of the house. As we were new to the area, Joe also identified a stone mason/general contractor who actually built the patio and retaining walls according to his specifications. During construction, it seemed to us that one set of stone piers looked like they were going to be too high. Joe immediately came out, sat in the front porch chairs that we were sitting in, and agreed that the offending piers could be shortened. In the end, we have been exceptionally pleased with the work and care that Joe put into this project. The front porch/stone patio/stone retaining walls are beautiful, and in keeping with the spirit of our house and farm. Highly recommended! JDA was hired to provide landscape design service for a residential project. (backyard transformation plus swimming pool). Joe is very knowledgeable in landscape design; budget-conscious and flexible, and willing to work with the client. He is punctual, easy to communicate with, and has the talent for 'listening'. Successful projects begin with a successful design phase, and Joe has exceeded expectations. We recently worked with Joe to develop a rear yard master plan to address challenges and accommodate our specific need to provide a secure space for our young son along and provide access from the driveway and detached garage. The design needed to address all of this in a limited user space due to a large slope facing the house running the length of the rear yard. Joe listened to our concerns and came up with a creative yet practical solution that worked within our budget. Once the design was completed Joe helped us select a company from his network of contractors that was well suited to the work that needed to be done. He didn’t stop there but stayed with us throughout the project, sometimes showing up unannounced to check on progress. In fact when the sod delivery was delayed and a storm approaching, Joe actually helped to lay the sod to insure we beat the rain! We are very happy with the result and the process used. We found Joe to be a good listener and responsive to our needs. I would feel confident recommending Joe as a qualified Landscape Architect to anyone considering an exterior renovation. He can help you from concept to completion. I have worked hard to earn a reputation as a Custom Homebuilder known for my high standards and attention to detail. Part of my success has been making sure the professionals who work on my projects share those standards. I have worked with and known Joe Duggan going on 20 years using him on a number of projects throughout that time. His quality of design, attention to detail, and ability to listen to my clients and exceed their expectations has always ensured a successful project. The high standards I set are never a problem for Joe -- my reputation is in good hands. Thank you for the superb job you did in designing and installing the Entrance to our Tuscan Ridge Community. It looks terrific and really sets a "World Class Tone." It meant a lot to me when we had problems with the setting of the landscaping boulders and you drove up and directed the crew where to place them allowing us to meet our deadline. Your efforts enabled us to have a successful grand opening in a down market. We wrote eight deals over the weekend for over 1 million dollars. I would gladly use your services again on any future jobs. As a civil engineer and project manager I have known and worked with J Duggan for close to 15 years in both my current position and previous one. Joe has worked on a number of my projects and I have done likewise on his. I have found Joe to be a talented Landscape Architect whose expertise is always an asset. He can think ‘outside the box’ yet understands the construction process and pays attention to what is responsible design-always keeping the client’s wishes in mind He also believes in teamwork and values the expertise of others. In short working with Joe is a true collaboration with the end result being the better by his involvement. Having traveled with Joe on such projects I can also attest to his easy going nature, long lines at airports or long trips in cars lets you get to know someone! I look forward to many more projects with Joe and would heartily recommend him to anyone needing a Landscape Architect! Joe took the time to get to know the site and understand how I wanted to use it. His design addressed everything including the natural site features -- especially the view of the Blue Ridge Mountains -- in short he really took advantage of the situation, using the 'borrowed' landscape to create a space that answers all my needs while affording fantastic views at the same time. We have since been working together to implement the plan. Joe began the process by taking the time and introducing me to a past client who had a similar project done and is now a good friend of his (which should say something!). I was able to see how certain things worked both in the aesthetic sense and in the practical functions. Once all the details were set, Joe then arranged for items to be bid through his 'selective' list of contractors and craftsmen, which was a great resource being I was new to the area. We worked together throughout the bidding process, reviewing the bids and interviewing the contractors. Once the team was selected and the construction began, Joe stopped by whenever a new phase was beginning and made it a point to be available to answer questions as they came up. I found his respect for the tradesmen and his willingness to listen and encourage dialogue to be a great asset. He is not afraid to look at things from different perspectives and has throughout the process involved myself and the tradesmen by listening to our ideas and concerns in order to insure the best decisions were made-no matter who made them. The project is now nearing completion and I am pleased to say has gone exceptionally well. I believe Joe’s method of design/construction management really works. He does what he does best and brings in others who are also the best at what they do. I would recommend Joe and his stable of tradesmen without reservation. I have known J Duggan Associates PC for well over 10 years. I have worked with Joe myself on a number of projects and I have also referred Joe to my Clients. I have found him to be creative, professional, and timely. He is also known for being involved in our community, offering his expertise without being asked. I wouldn't hesitate to use him again or refer him to future clients. I have known Joe for twenty years ever since I was on the town council and he was on the Town planning commission. I know that he pays a great amount of detail to his projects, and with the input of his clients, always designs a superb product. I have had him design an entrance walkway to my former home. And, more recently, he designed a memorial garden for my son, who recently passed away. He understood exactly what my wife and I were looking for and he did an amazing job. He is truly a professional in his craft and I would highly recommend him for any project, large or small. Susan Carol, APR President, Susan Carol Associates Public Relations, Inc.
Joe envisions what others cannot imagine; his designs delightfully transform outdoor spaces into hubs of many happy returns. In addition to his extraordinary professional talent, he is a ‘salt of the earth’ kind of guy I would highly recommend. Joe and I have been collaborating on projects for over 12 years. As an Architect, I realize that a project’s relationship to its site is a major factor in its success. Joe is a creative designer whose talent as a Landscape Architect can be a huge asset in making that work. More importantly however is his personal commitment to a project from design through final installation. One of our early projects together in 2005 was a Lodge / Community Center in Canaan Valley. Joe and I worked closely on the signage, approach, entrance design, and traffic circulation to ensure a pleasant experience from arrival to departure. Since the site was covered with boulders which would have been costly to remove, Joe designed signage and entrance features by placing the boulders in groups and landscaping around them, saving the owner a significant amount of money while not compromising the design. As the date of the opening was approaching, the contractor was having difficulty locating and placing the boulders correctly. Joe dropped what he was doing to be on site. He personally instructed the proper placement of the boulders to ensure that they would complement the rustic nature of that area. The result was an attractive entrance and site that left a lasting impression on the visitors. The owner credits this success in part to Joe’s efforts and provided a complimentary letter thanking him for his efforts. More recently in 2016, Joe and I were part of a team doing consultation work for a Community Center in Prince William County. The team provided a thorough analysis of expansion / renovation options. The project was a success and as always it was an enjoyable experience working with Joe. I look forward to working with Joe in the future and would recommend him without hesitation to anyone needing the services of a Landscape Architect. JDA designed our pool and outdoor living area. He exceeded our wildest dreams of creating a unique space where friends and family love to gather throughout the year. It also serves as a beautiful retreat for unwinding with a good book. We at Cornerstone Construction have worked closely with J. Duggan & Associates for several clients over the past couple years. The projects we collaborated on have varied greatly in price, yet Joe Duggan has given each detailed attention. He is creative and very professional to work with and we look forward to many more years of teamwork. 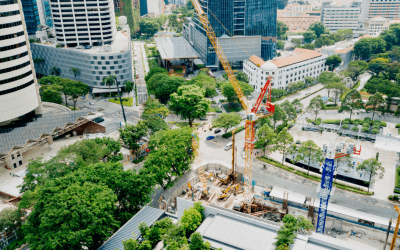 Alpha Corporation is a national civil and structural engineering firm that works throughout the United States and beyond for both Government and Private Clients. At times our work is demanding, having to meet strict design criteria and done according to a tight time table. We take pride in having a reputation for meeting such commitments and believe our growth is based on that. I first utilized Joe Duggan in 2010 when the need for a Landscape Architect was required for such a project. Not having worked with Landscape Architects before-I was a bit apprehensive, but pleasantly surprised with Joe’s skill, professionalism and more important his ability to work as part of our team. Joe has since worked with Alpha Corporation on a number of projects including work including a Roof Garden Design for Nimitz Library at the Annapolis Naval Academy and Numerous projects for the US Veterans Administration throughout the United States to name just a few. His grass roots design/build experience has been a huge asset- he knows more than simple design theory and knows what it takes for a project to be built. He has a real knack for keeping things in line regarding complexity and budget issues. Joe is well liked, and more importantly respected by our staff-in short he knows his field and is professional in getting things done. He is also not hesitant to go the extra mile, traveling on short notice or working late through the night or weekend. He makes our collaboration easy, working with all involved as needed in an easy going manner. In short he gets it done, making our projects that much better for having used him. I would also note that J Duggan Associates PC’s low overhead due to office location and staff size makes them attractive to a firm like Alpha. I believe we have always done well financially when using Joe’s services. 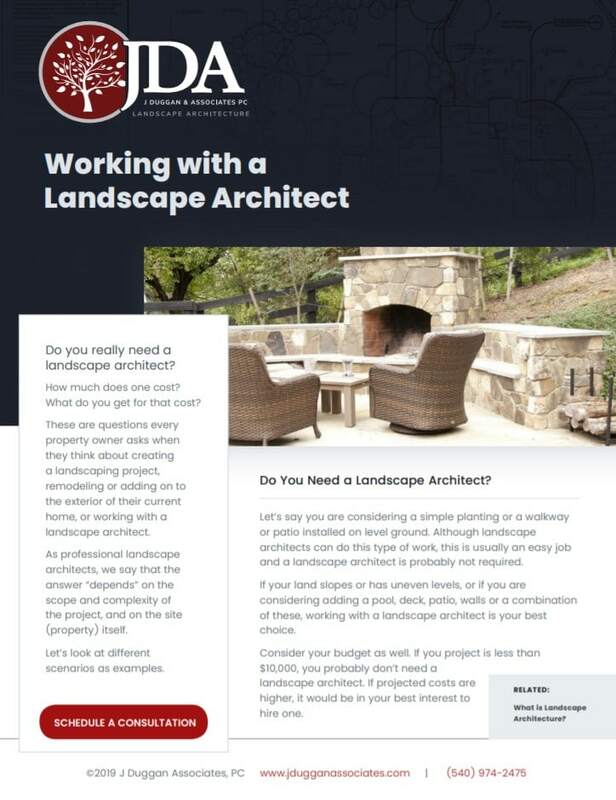 I look forward to continued collaboration with Joe and would not hesitate to recommend him to other professionals needing a Landscape Architect. I have worked hard to earn a reputation as a Custom Homebuilder known for my high standards and attention to detail. I have referred J Duggan and Associates PC to a number of my clients over the years with great results. They tell me Joe really listens and responds with great design solutions. I will continue to refer Joe knowing that my clients will be in good hands with him. I have been involved over the past few years with J Duggan Associates providing the installation of Pools he has designed as part of overall Master plans. I find his designs creative-yet feasible, and more important-responsible. Joe seems to understand that a successful project is not about him, but the client. His understanding of the construction process is a big asset-he knows what can be done, what costs are involved and to be short, what is the highest and best use of the clients resources (finances). Joe also knows he doesn’t know it all and is quick to listen when I have a concern or ask questions when he needs to. Don’t misunderstand me-Joe knows his ‘stuff’ having been in the business as long as I have -30 years or more- he also knows however he can’t necessarily be an expert in everything –experience has probably taught him that ! The projects Joe designs and I help to implement can be are complex, no one person is going to have all the best answers-teamwork is the answer and Joe knows this better than most. If you are looking for a Landscape Architect that has pretty much seen and done it all I wouldn’t hesitate to recommend Joe. His down to earth demeanour is also a pleasure-no high and mighty type here! I look forward to working with Joe in the future and wouldn’t hesitate to recommend him to anyone needing a Landscape Architect. We are extremely pleased with the services provided by Joe Duggan! We were still in the construction process of our new home, which was built on a large, challenging site. The builder personally recommended Joe, and he was engaged in the process early on. We were able to convey our personal desires for the hardscape and surrounding landscape to Joe, who responded with conceptual designs with options to ultimately bring the final design into fruition. It was our desire to bring the site of our home “back to nature” by utilizing native plantings – over 160 varieties. We could not be more pleased with the outcome and thoroughly enjoy watching our property mature to a natural landscape through each season. I would not hesitate to recommend Joe’s services to anyone seeking a professional, complete landscape design. When building my house, the entire back was completely bare and a rocky, slanted, ugly mess. Joe came highly recommended and for good reason. I explained the deck, the trellis, the walking path and the pool I was hoping to have. Even when they seemed unreasonable for the situation, he listened with the patience of a saint and had such a confidence in what he could do and ideas right on site that clearly showed his creativity and ability to visualize and conceptualize. The design he came up with was beyond what I could have hoped for. No one thinks of plantings around a house like Joe does, too. The man loves what he does and he puts his whole self into it. I enjoyed the entire experience of working with Joe. I cannot recommend him highly enough. 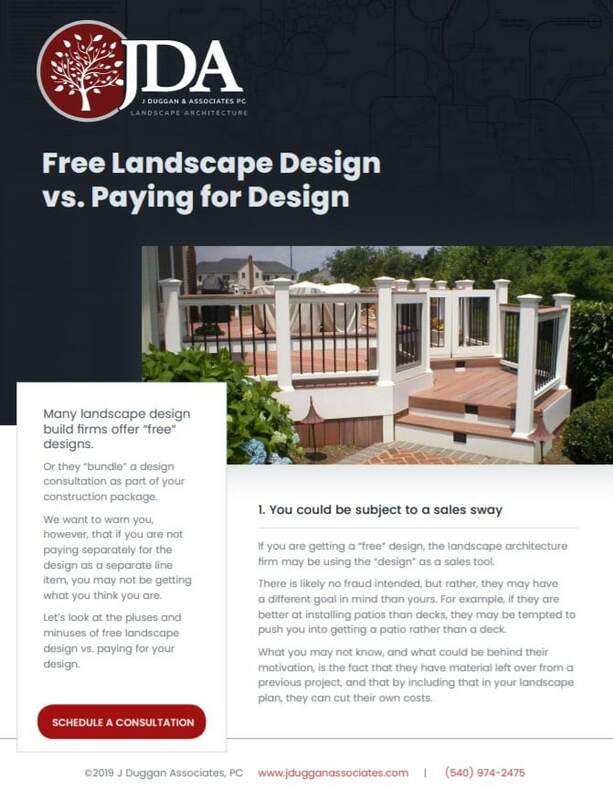 Why pay for a design/consultation when I can get one ‘free’ or cheaper from a design/build firm? Many contractors 'bundle' a design consultation as part of your construction package, or offer it for free. But remember; nothing is free. No matter how qualified they may be, if you are not paying for the design, then your ‘design’ is used to sell their construction service. No ill will is intended, but their goals' may not be the same as yours. If they find patios or decks profitable this time of year, they will encourage you to get them. You also have to consider who is actually doing the design. What are their qualifications and experience? Many assume the designer must be qualified if the company has been around for a while. Not necessarily. Investigate the designer who will be advising you! They may not charge you up front for design services, but they will include the fees in the final construction costs. Office overhead and marketing costs etc all have to be covered. You may not see the cost as a line item, but it's there! Naturally, “designer/salesmen” have to be paid for their time. Any reputable firm has to cover all items relating to a project. You just don’t see it immediately. You will pay for it later. Hire a professional, experienced architect ready to explore your vision, detail your dream, and enhance your landscape with excellence and precision. Enjoy a leaner budget, and give the contractors exactly what they need; custom designs that eliminate the guesswork, plan for the future, and maximise your property's potential. J Duggan and Associates P.C. is a small, award winning, landscape architecture firm in the Northern Shenandoah Valley. For the past 18 years we have provided design/build services for hundreds of projects residential projects along with complete design services for numerous commercial and public sector spaces. Small and personal, we focus on getting to know you, understand your needs and be involved with all phases of each project. Our location in the Shenandoah Valley (outside of, but close to the DC metro area) brings you rates unseen among firms in the greater DC metro area. Enjoy care, detail, and attention in every phase of your project, with the creative perspectives you need to transform your exterior renovations. Landscape architects design neighborhoods, towns and cities while also protecting and managing the natural environment. Learn more from J. Duggan & Associates! 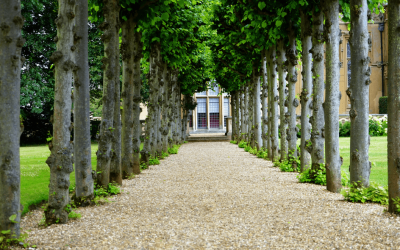 What’s the difference between landscape architecture vs landscape design? Know the distinction to help you hire the right person for the job. Landscape architecture can transform an area, and has been doing so for centuries. Answer the question, “what is landscape architecture” and learn more about project types and trends. JDA serves these locations and the surrounding areas, and can travel upon request.